At MedicarePartC.com, our goal is to be the leading source for information, vital healthcare updates and most importantly the largest selection of Medicare insurance plans available online or off. 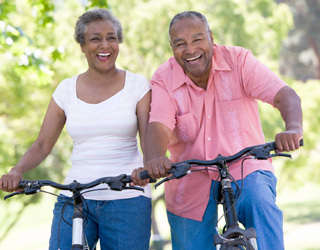 Why should we be your choice for Medicare insurance enrollment or changing plans? There are many reasons but the most important distinction between us and other companies, is that we are not a licensed insurance agency or broker. We choose not to be that way we do not have an inherent conflict of interest. In most cases health insurance insurance agents are not able to offer you every available plan, simply because there are thousands to choose from and not every agent can offer every plan. At this website or any of our others, every plan that is approved by Medicare is made available to the visitors of our website. This allows us to remain unbiased in terms of what plans you have access to. By offering the widest selection of options possible, and more importantly providing transparency from the start, we are better serving our customers. A one size fits all approach doesn’t work in clothing, so why should your options be limited when it comes to your health insurance? We are all unique individuals, and what might be a great plan for me personally might not be a good choice for you. We appreciate your time and consideration and if you have any questions do not hesitate to contact us immediately. Our website constantly updates information and you always have the option to call our toll-free number and speak with a healthcare professional direct who can answer any of your questions.